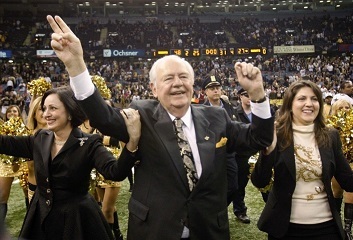 Mr. Tom Benson is a local hero down New Orleans way. Had he not stepped up and bought the Saints, the ‘Big Easy’ might well have been left without a professional football or basketball team and look at all that they would have missed. Born and raised in New Orleans, Tom Benson will turn 87 this summer and he still remains quite active on a daily basis with both the Saints and the Pelicans, not to mention his various other business interests. Not only that, Mr. Benson is now spearheading the effort to bring the 2018 Super Bowl back to New Orleans, something that would be another great economic boon to the city. 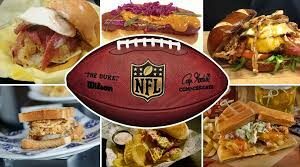 Most of the owners of NFL franchises are elderly gentlemen. Several are already over 75 years old and thoughts of succession naturally come to mind. What will happen when the current owner passes away? Who will take over? We saw a recent example of the types of confusion that can spring up when 3 of Benson’s contemporaries all passed on during the past six months. Bud Adams, Williams Clay Ford and Ralph Wilson will all be sorely missed. When the issue of the succession of the Saints team came up at a recent press conference, Greg Bensel, spokesman for the Saints organization, told reporters that an estate plan is in place, although it has not been revealed to the public as yet. Bensel did let it be known that the Saints and the Pelicans would remain with the Benson family. The general perception is that the Saint’s and Pelican’s upper management structure would still remain together in the future as all parties are satisfied with the current situation. Mr. Benson’s wife Gayle is always seen by his side at the games and seems to have a genuine interest in the teams as does his daughter Renee and the grandkids. Mr. Benson assured the people of New Orleans, “As both franchises are locked into long-term leases with the state of Louisiana, there is absolutely no desire, threat or discussion to the relocation of the teams.” Don’t Geaux Saints!